Understanding Effects Processing! EQ and Filtering influences every aspect of your mix from Pre Production to Mixing to Post Production. This processing can be creative, organic or manipulative but which ever way you interpret it you will need to have a firm understanding of the basic consepts and an open ear. 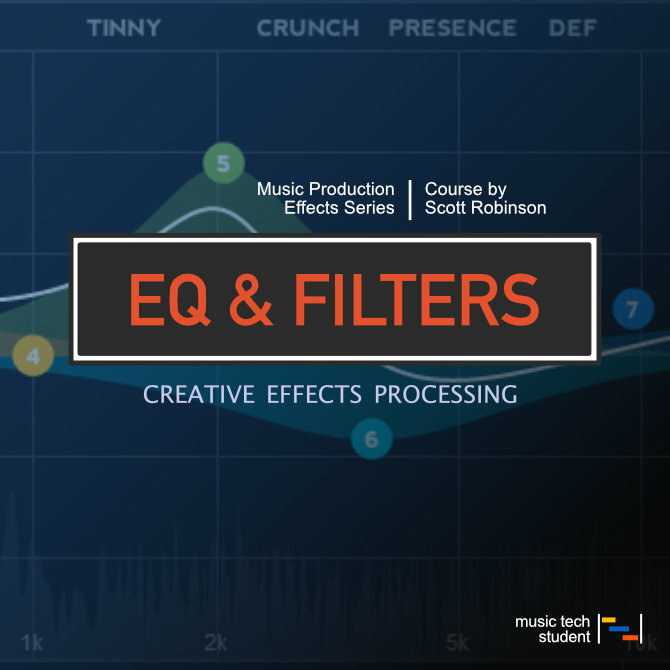 In this course, we will explore the various aspects of EQ and Filtering that can be found in Logic Pro X. We will explore the creative, organic and manipulative nature of EQ and Filtering and set lots of tasks to help you consolidate your understanding of these powerful tools. This course will aid you in all aspects of your music production workflow and make you a better practitioner. The aim is to walk you through each of the main EQ and Filtering techniques and basic functionality befor moving onto more creative tasks and theories. Throughout this course, you will have the opportunity to complete tasks and activities to gain a fuller understanding of how to use these tools in your own productions. What is EQ and Filtering?